Dr. Weeks’ Comment: We look up in the sky and we see nothing. Astonishing. We humans typically only perceive what we conceive and so we see nothing unusual in chemtrails which stretch, as Dr. Blaylock describes, “from horizon to horizon”. Nanoparticles of aluminum are infinitely more reactive and can easily penetrate the brain. The internet is littered with stories of “chemtrails” and geoengineering to combat “global warming”; and, until recently, I took these stories with a grain of salt. One of the main reasons for my skepticism was that I rarely saw what they were describing in the skies. But over the past several years I have noticed a great number of these trails and I have to admit they are not like the contrails I grew up seeing in the skies. They are extensive, quite broad, are laid in a definite pattern, and slowly evolve into artificial clouds. Of particular concern is that there are now so many – dozens every day are littering the skies. My major concern is that there is evidence that they are spraying tons of nanosized aluminum compounds. It has been demonstrated in the scientific and medical literature that nanosized particles are infinitely more reactive and induce intense inflammation in a number of tissues. Of special concern is the effect of these nanoparticles on the brain and spinal cord, as a growing list of neurodegenerative diseases, including Alzheimer’s dementia, Parkinson’s disease, and Lou Gehrig’s disease (ALS) are strongly related to exposure toenvironmental aluminum. Nanoparticles of aluminum are not only infinitely more inflammatory, they alsoeasily penetrate the brain by a number of routes, including the blood and olfactory nerves (the smell nerves in the nose). Studies have shown that these particles pass along the olfactory neural tracts, which connect directly to the area of the brain that is not only most affected by Alzheimer’s disease, but also the earliest affected in the course of the disease. It also has the highest level of brain aluminum in Alzheimer’s cases. The intranasal route of exposure makes spraying of massive amounts of nanoaluminum into the skies especially hazardous, as it will be inhaled by people of all ages, including babies and small children for many hours. We know that older people have the greatest reaction to this airborne aluminum. Because of the nanosizing of the aluminum particles being used, home-filtering systems will not remove the aluminum, thus prolonging exposure, even indoors. In addition to inhaling nanoaluminum, such spraying will saturate the ground, water, and vegetation with high levels of aluminum. Normally, aluminum is poorly absorbed from the GI tract; but nanoaluminum is absorbed in much higher amounts. This absorbed aluminum has been shown to be distributed to a number of organs and tissues including the brain and spinal cord. Inhaling this environmentally suspended nanoaluminum will also produce tremendousinflammatory reaction within the lungs, which will pose a significant hazard to children and adults with asthma and pulmonary diseases. I pray that the pilots who are spraying this dangerous substance fully understand that they are destroying the lives and health of their families as well. This is also true of our political officials. Once the soil, plants, and water sources are heavily contaminated there will be no way to reverse the damage that has been done. Steps need to be taken now to prevent an impending health disaster of enormous proportions if this project is not stopped immediately. Otherwise we will see an explosive increase in neurodegenerative diseases occurring in adults and the elderly in unprecedented rates as well as neurodevelopmental disorders in our children. We are already seeing a dramatic increase in these neurological disorders and it is occurring in younger people more than ever before. 1. Win-Shwe T-T, Fujimaki H, “Nanoparticles and Neurotoxicity,” In J Mol Sci2011;12:6267-6280. 2. Krewski D et al., “The biological effects of nanoparticles. Risk assessment for aluminum, aluminum oxide, and aluminum hydroxide,” J Toxicol Environ Health B Crit Rev 2007;10 (suppl 1): 1-269. 3. Blaylock RL, “Aluminum induced immunoexcitotoxicity in neurodevelopmental and neurodegenerative disorders,” Curr Inorg Chem2012;2:46-53. 4. Tomljenovic L, “Aluminum and Alzheimer’s disease: after a century, is there a plausible link,” J Alzheimer’s Disease 2011;23:567-598. 5. Perl DP, Good PF, “Aluminum, Alzheimer’s Disease, and the olfactory system,” Ann NY Acad Sci 1991;640:8-13. 6. Shaw CA, Petrik MS, “Aluminum hydroxide injections lead to motor deficits and motor neuron degeneration,” J Inorg Biochem 2009;103:1555-1562. 7. Braydich-Stolie LK et al., “Nanosized aluminum altered immune function,” ACS Nano 2010:4:3661-3670. 8. Li XB et al., “Glia activation induced by peripheral administration of aluminum oxide nanoparticles in rat brains,” Nanomedicine 2009;5:473-479. 9. Exley C, House E, “Aluminum in the human brain,” Monatsh Chem 2011;142:357-363. 10.Nayak P, Chatterjee AK, “Effects of aluminum exposure on brain glutamate and GABA system: an experimental study in rats,” Food Chem Toxicol2001;39:1285-1289. 11. Tsunoda M, Sharma RP, “Modulation of tumor necrosis factor alpha expression in mouse brain after exposure to aluminum in drinking water,” Arch Toxicol 1999;73:419-426. 12. Matyja E, “Aluminum changes glutamate -mediated neurotoxicity in organotypic cultures of rat hippocampus,” Folia Neuropathol 2000;38:47-53. 13. Walton JR, “Aluminum in hippocampal neurons from humans with Alzheimer’s disease,” Neurotoxicology 2006;27:385-394. 14. Walton JR, “An aluminum-based rat model for Alzheimer’s disease exhibits oxidative damage, inhibition of PP2A activity, hyperphosphorylated tau and granulovacuolar degeneration,” J Inorg Biochem 2007;101:1275-1284. 15. Becaria A et al., “Aluminum and copper in drinking water enhance inflammatory or oxidative events specifically in brain,” J Neuroimmunol2006;176:16-23. 16. Exley C, “A molecular mechanism for aluminum-induced Alzheimer’s disease,” J Inorg Biochem 1999;76:133-140. 17. Exley C, “The pro-oxidant activity of aluminum,” Free Rad Biol Med2004;36:380-387. Dr. Blaylock’s brochures Bio Terrorism: How You Can Survive and Nuclear Sunrise. 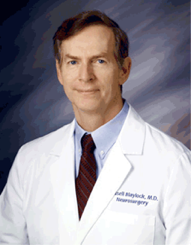 Dr. Blaylock, an NHF member, is a World-renowned neurosurgeon who retired from Neurosurgery to devote his full attention to nutritional studies and research. Yes – you should be be a fat head! While we are distracted by the candidates in NH….